 A smallcase is a portfolio of up to 20 stocks that tracks an idea/strategy. smallcases are based on new government initiatives like Digital India or Smart Cities Project, specific sectors or simply an investment strategy based on fundamental criteria like earnings growth or dividends. Index Value: Every smallcase's index starts from 100 on the inception date and represents the absolute returns generated by the smallcase since its inception. 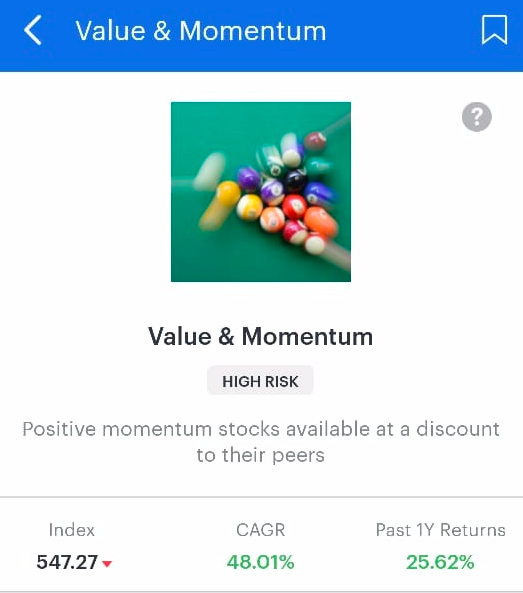 For Value & Momentum, an index value of 547.27 tells that it has generated a return of 447.27%, that is [(547.27-100)/100] since its inception. 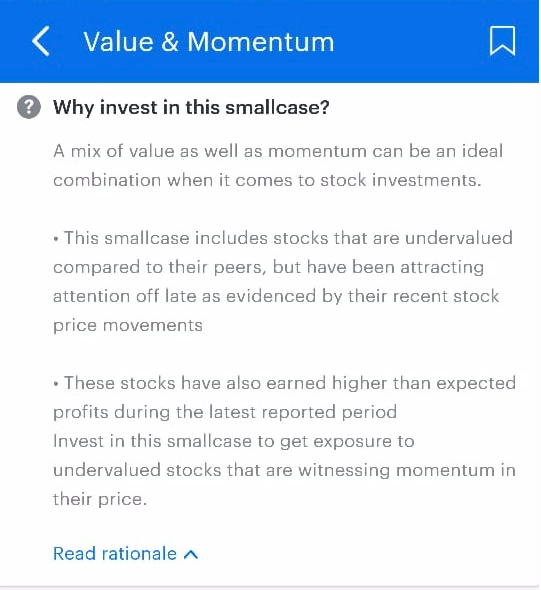 To view the inception date of a smallcase, tap on the index value. CAGR Value: The Compounded Annual Growth Rate for a smallcase represents the average annual returns since inception. The CAGR is always calculated from the inception date to the present date. For eg, if you had invested in a smallcase whose CAGR is 48% on the inception date (say, Mar 3, 2014), on an average, your investment would have grown by 48% each year until the present date. 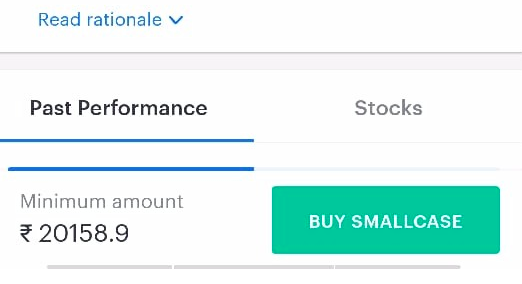 You would be able to view the Past Performance of the smallcase for the duration such as 1 Month, 6 Months, 1 Year, 2 Year, 3 Year and 4 years. The returns that we shown are the historical returns based of the stocks presented in the smallcase which includes the rebalance updates as well as the losses incurred. 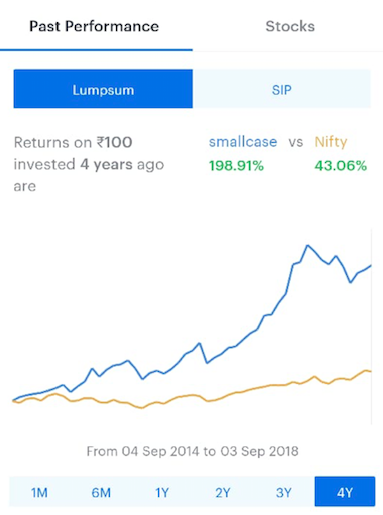 The SIP chart shows you the returns for the last 4 years on how your investment of Rs.100 every month to the smallcase would have given the returns for now.